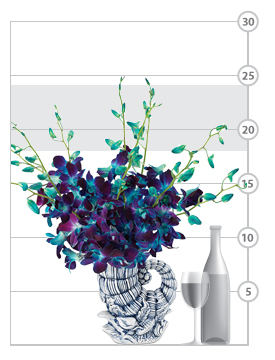 Blue bouquets are all the rage, and it’s easy to understand why. They’re different, they’re dazzling, and they’re more often than not unlike anything your special recipient will have ever seen! 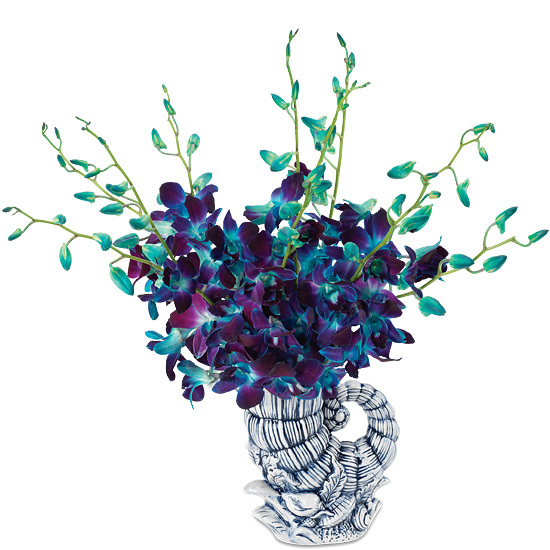 This spectacular showcase of naturally purple dendrobium orchids has been slightly enhanced with blue dye to give them a surprising azure hue our customers love. We’ve paired the popular orchids with our intriguing cornucopia ceramic pitcher, a vessel that’s glazed primarily white with accents of nautical blue and may be repurposed for serving beverages later (hand wash).